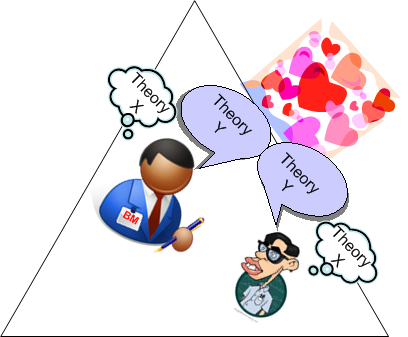 If you’re a student (or self-proclaimed/credentialed “expert“) of institutional behavior, there’s no doubt that you’ve heard of Doug MacGregor‘s famous Theory X and Theory Y worldviews regarding social attitudes within organizations. And, if you’re a manager who is not into political suicide, you at least publicly espouse allegiance to the more ethically pleasing Theory Y view. It (Theory Y) is an attempt to trick our ethical intuitions— that is, to make workers believe that they are being well treated when in fact they are being exploited. In this unsettling but thought-tickling view, Mr. Stewart asserts that the aim of both the bad-X and good-Y theories is to ultimately exploit the workery, but only Theory X is transparently upfront about it. Is HR ever anything other than “Y”? Some are only Y on the surface. 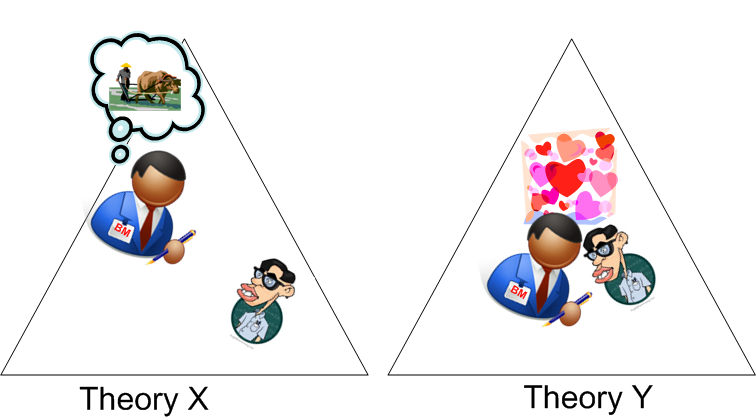 Look under the covers and you might find X. I think X may be more prevalent than Y everywhere: management, HR, AND Labor. Nice one as usual – I came to that conclusion regarding “niche / boutique consultancies” who pretend to be Theory Y, but as you say are really X. Had this happen recently where a consultancy threw myself (contractor) _and_ employee (since resigned – surprise, surprise 😉 totally under the bus. Funny thing is that even the client (who I caught up with recently) was surprised with the severity of our treatment!